Hello and Welcome to my Profile, I hope you Enjoy it! 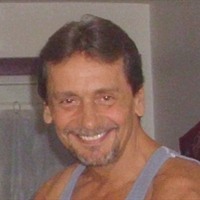 I am a divorced 52 yrs old and I now teach Website Building and Online Business Development. I am a Entrepreneur and the proud father of two boys. I exercise daily and eat healthy. My passions are Music, Mechanics, Home Renovations, Fishing, the Sun and laughter!